The Bloomsbury Theatre opened in 1968, not gaining its current name until 1982 (its previous title being The Collegiate Theatre). The theatre is owned by University College London, who use it for their student productions. 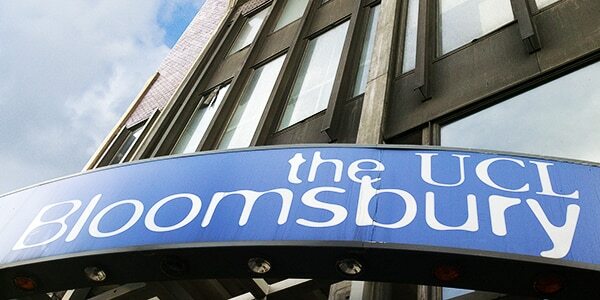 Due to this link, the theatre was known as The UCL Bloomsbury between 2001 and 2008. Apart from the student productions, the theatre’s 535-seat auditorium hosts visiting theatrical productions, dance, stand-up comedians (including UCL alumnus Ricky Gervais), conferences, lectures, film presentations, and live radio broadcasts. Concerts are also held regularly at the theatre, which has provided a residency (and exclusive partnership) for the New London Orchestra.